Left to right: Walleye, Dustin Dwyer. Today we begin a series called Swimming Upstream. 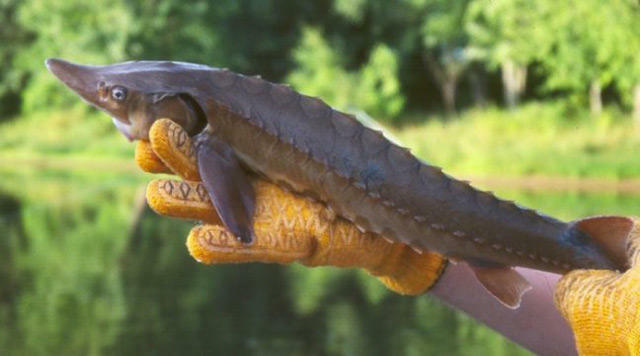 It's about one of Michigan's most valuable natural resources: fish. These slimy, scaly water dwellers contribute to the ecology of the Great Lakes, our economy, and, of course, our dinner plate. The short answer to that question is: Michigan's commercial fishing industry is pretty small. Other than tribal fisherman, only about 50 people hold commercial fishing licenses in the state. Petersen is a third generation commercial fisherman in Muskegon. I met him on a concrete dock, tucked behind a little house near where Muskegon Lake meets Lake Michigan. It's not an easy place to find. The business seems to be getting by fine without it. Bill's grandfather started Petersen's Fisheries in 1927. Bill started young. In that time, he's seen several fishermen go out of business just in Muskegon. He puts most of the blame on regulation. Starting in the ‘60s, the state put in rules to protect fish populations in the lake. And now the state doesn't issue any new commercial fishing licenses. Petersen says the rules have definitely helped the fish. But the industry is a shadow of what it once was. "Well, there's only two commercial fishermen on this side of the state from here in Muskegon to the Indiana border. Got the whole lake and two fishermen, doesn't make a whole lot of sense. (Dustin: 'It's good business for you, though!') Good for us, yeah, but the fish are just back to back. They're thick." As we talk, the boat chugs in with the day's catch. 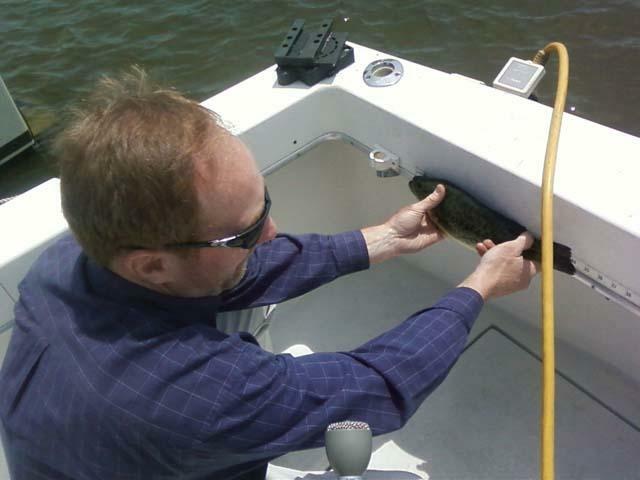 The catch on this particular day isn't that great – maybe 1,200 pounds of fish in all. They're packed in green plastic tubs full of ice. The crew hauls the tubs up to the dock. If these guys are lucky, they'll get out of here after a 14 hour work day. At least, if he's crazy, he's crazy like a fox. The Petersens have managed to keep a fishing business going in Michigan for about 80 years now, while hundreds of other fishermen went under. But for folks who just want to buy fresh, local Michigan whitefish, there's a downside: to stay in business, the Petersens stick with just a few trusted distributors. And once the fish gets loaded up on a truck, those distributors send almost all of it to Chicago or New York. From there, the fish gets hard to track. 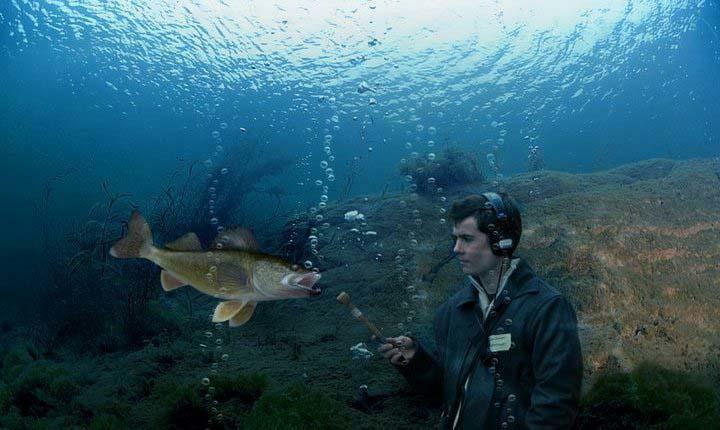 Dustin: "If someone's listening to this radio piece, how would they know if they're eating a Petersen's Fisheries fish?" But, that's actually not entirely true. There is one way to know for sure that you're getting a fish from the Petersen family. And that is our story for tomorrow. Today we continue our series, Swimming Upstream. Dustin Dwyer took a road trip around the Lower Peninsula to bring us stories about fish. Yesterday we heard about the Petersens. They’re one of the few remaining non-tribal commercial fishing families in the state. It's a grey day at the Muskegon Farmer's Market, but Amber Mae Petersen is selling the heck out of some fresh Michigan whitefish. 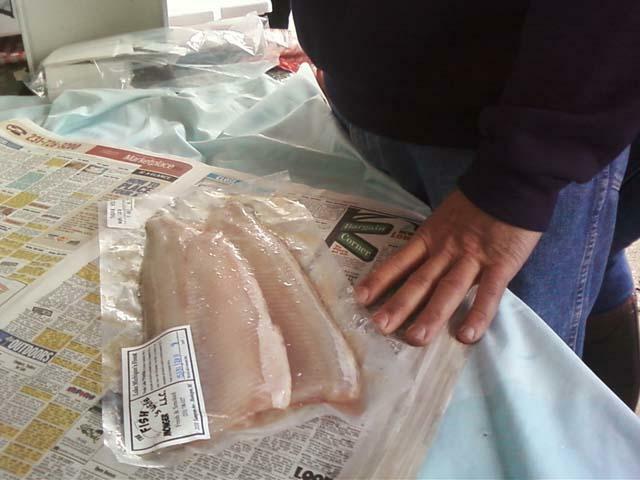 The vacuum-sealed bags of whitefish filets, and packages of smoked whitefish are disappearing quickly. Petersen's husband Eric stands next to her, packing the fish in ice and wrapping it in old copies of The Muskegon Chronicle. There's no evidence that fish understand irony. But if they did, they might find irony in the fact that the people who best understand them are the people who get paid to kill them - or at least injure their lips slightly. This week, we've been hearing stories about fish, for our series "Swimming Upstream." For today's story, Dustin Dwyer paid a visit to some researchers with the Department of Natural Resources. 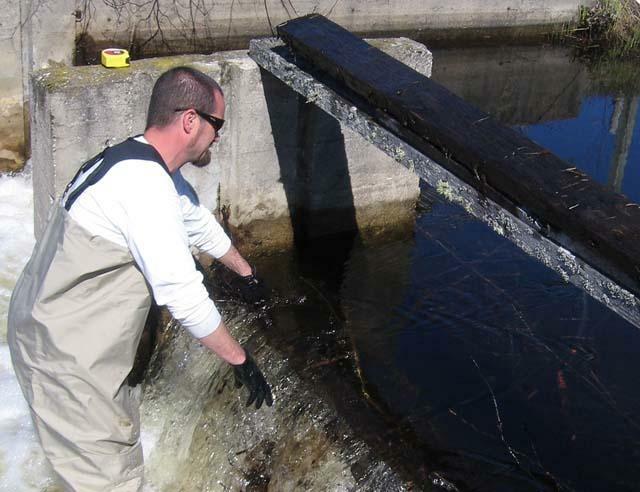 The DNR tracks fish populations at sites around the state. 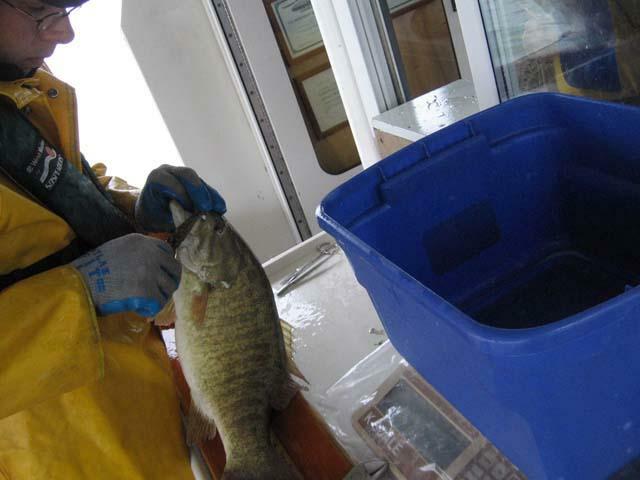 Dustin went aboard with the team on Lake St. Clair, and sent us this report.